A wonderful way to start your day, our scones are dense and delectable, the perfect combination of a biscuit and a muffin. The addition of crème fraîche and extra butter to dough results in a scone that is tender and rich. Flavors change seasonally. Deep, dark and decadent, our brownies have more in common with chocolate fudge than anything else. Rich brownie batter is baked just until done, resulting in a ridiculously moist confection. Once cooled, they are coated in a thick layer of chocolate ganache sending everything straight to the moon. An American classic, our top secret chocolate chip cookie recipe calls for only real butter, is heavy on the brown sugar and requires an ample amount of chocolate chips. The result is a tender, caramelly chocolate chip cookie that will satisfy any cookie connoisseur. Brimming with cinnamon and brown sugar, our Oatmeal Raisin Cookies are buttery, slightly crunchy on the outside and chewy on the inside. 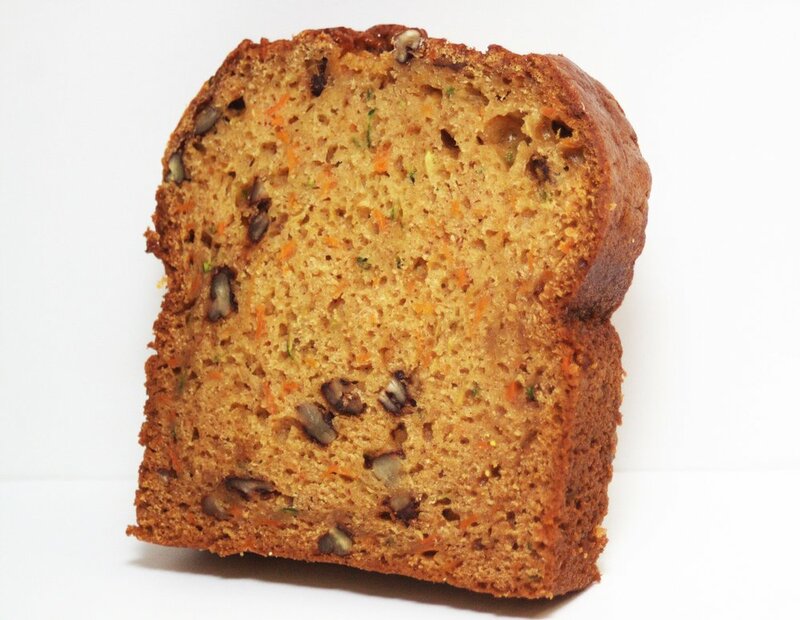 Pineapple, grated coconut and carrots combine to give our Carrot Cake incredible flavor and texture. 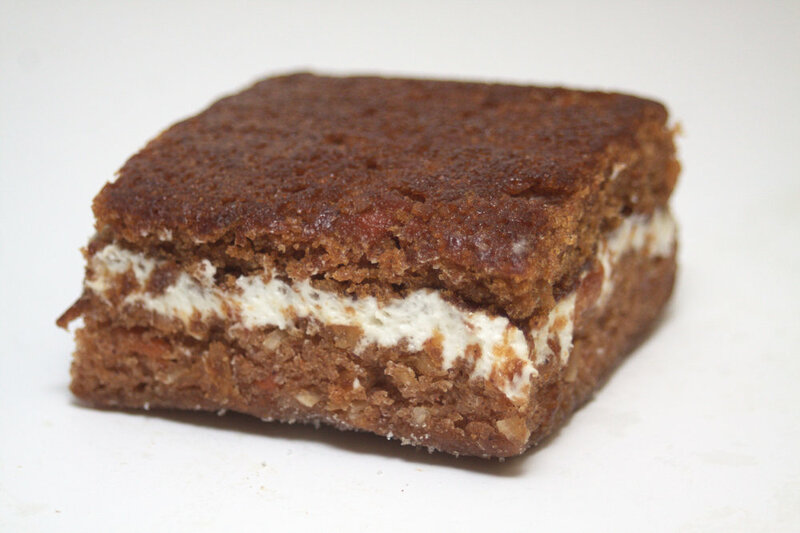 Once baked the dense moist cake is slathered with a cream cheese filling and topped with a second layer of scrumptious cake. Unique to Wild Flour Bakery, our customers go crazy for these flatbreads. For our sundried tomato and parmesan flatbreads, sun-dried tomatoes are incorporated in the dough before rolling out into super thin sheets. They are topped with handfuls of grated Parmesan cheese and a little drizzle of extra virgin olive oil before baking off into crispy, savory flatbread. For our garlic and rosemary flatbreads, fresh chopped garlic and rosemary are incorporated into the dough before they are hand rolled into sheets. Prior to baking they are topped with extra virgin olive oil and course sea salt. Break them apart and enjoy them just like a cracker.